The small sensor network node made by Zolertia in Spain was an ideal platform for us to get started with for the project. It used a low power microcontroller (MSP430) and breaks out all the connections we need to link up sensors. We added a board “ms1” with our preferred radio (CC1120) to increase range and hardware to link to sensors. The nodes have 1MB of local flash storage – which will be used as a sensor readings buffer. The Z1 has a 2.4GHz transceiver which we do not use (it is OK for tests in the lab). 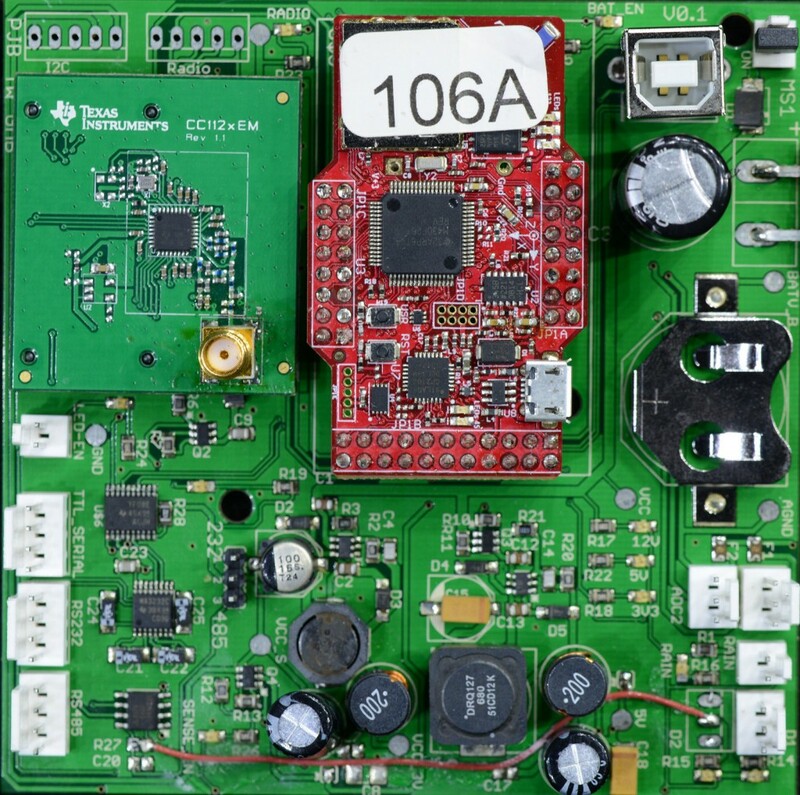 This quick board development allowed us to test the full 6LowPAN network stack. One of our aims was to enable web access to the nodes so users can configure them easily. We tested simple web pages on these nodes for setup/maintenance. This eventually led to the use of CoAP and our newer ARM-based nodes.